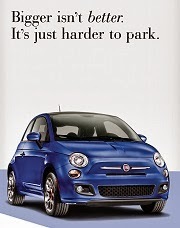 Fiat offers an innovative smartphone app for owners of the Fiat 500. The Fiat 500 Vehicle App contains a users guide plus product literature, detailed feature descriptions, photos, videos, frequently asked questions, and the ability to set up service appointments and purchase parts. The Fiat 500 Vehicle App is available for Android, Blackberry and iPhone users through their respective app stores. For folks that don't have a smartphone and want to see what the app is like, here are some of information videos that the app contains. 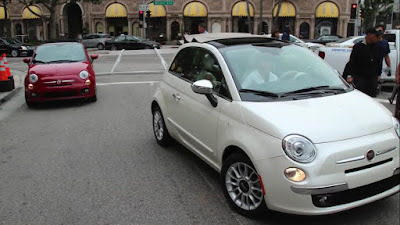 Note this is a pre-production Fiat 500 and doesn't have carpeting on the seat back. 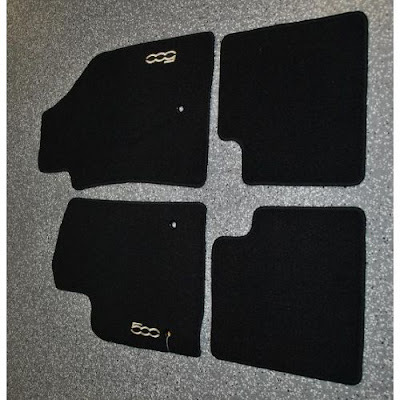 Carpeting was added to production models to make a nicer finished trunk. 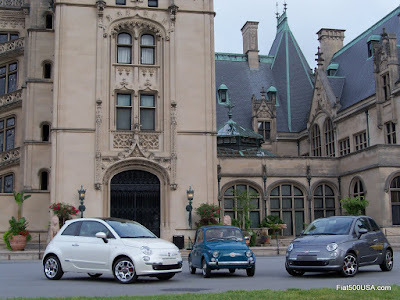 July 4 marks the 54th anniversary of the launch of the Nuova Fiat 500. 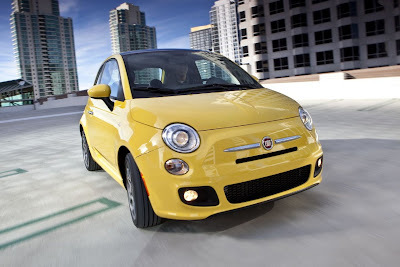 It will also mark the launch of the Fiat 500's national ad campaign in the US. Now that a critical mass of Fiat dealerships (called Studios) have opened, beginning the campaign makes sense. 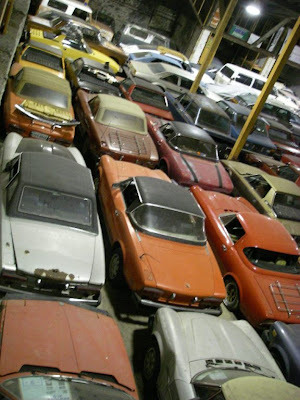 Currently, there are 70 Fiat Studios opened across the nation, most in what Fiat considers its main market areas. 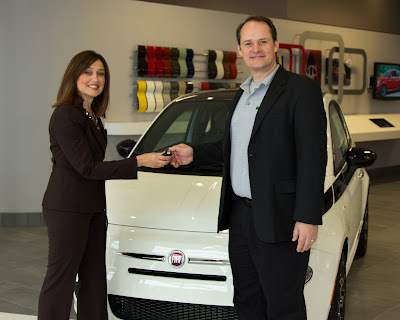 Fiat Head, Laura Soave, said last week at a media event, “We’re confident we can do a national launch and have the network in place to support the traffic." 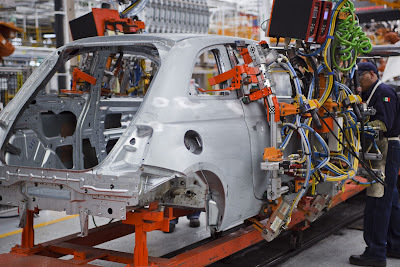 Pre-production versions of the Fiat 500 were first unveiled to the US public at the Los Angeles Auto Show last November, with the car having its official debut in February at the Chicago Auto Show. 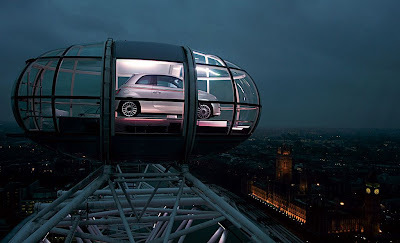 In November, 130 Fiat Studios were selected. Since then, Fiat Studios have been opening up slowly, but steadily. The original plan was to have most of the Studios opened by March 1 with a national marketing campaign penciled in to begin during March/April. 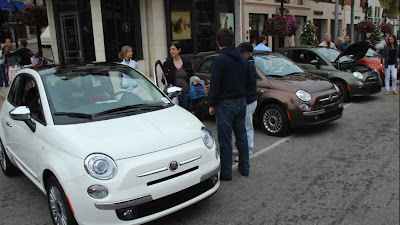 However, delays resulted in having only 30 or so Fiat Studios opened by March 11, the day the first Fiat 500 Prima Edizione was delivered in the US. Chrysler CEO, Sergio Marchionne attributed the delay to the company underestimating the time needed for dealers to get building plans approved by local zoning authorities. 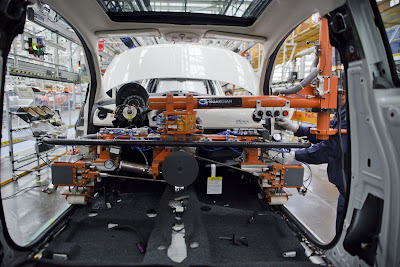 Another contributing factor was the high standards each Fiat Studio is designed and built to. Soave said it was more important to get facilities right than to rush ahead with half-baked plans. She said: "One of the things we're committed to is the network, that the first impression is perfect." 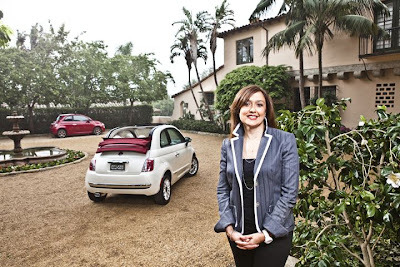 When you see what a Fiat Studio looks like, you'll see what she means. 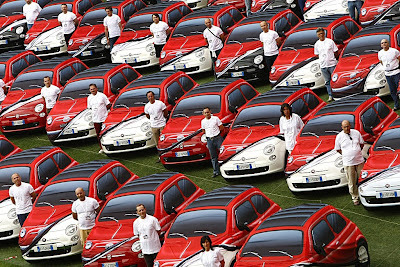 The remaining 60 Fiat Studios are expected to be open by the end of the year. 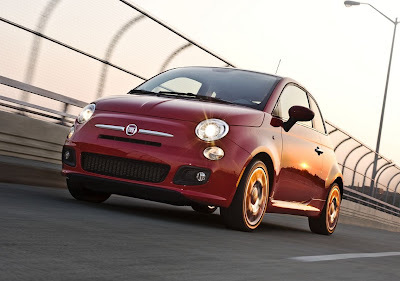 The modern Fiat 500 made its debut on July 4, 2007, exactly 50 years after the Nuova Fiat 500 was introduced. To celebrate the new car, a lavish ceremony that 250.000 people attended was held in Torino, Italy. You can view the ceremony here. Each year since, birthday events for the 500 are held throughout the world. This year will be the first time an event will be held in the US. So far, everything is still under wraps, but expect it be creative, exciting and fun. 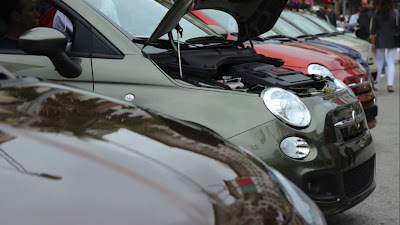 While we are waiting, here is a link to previous Fiat 500 Birthday events. The Fiat 500 has been named the #1 coolest car under $18,000 by Kelly Blue Book in their "Best, Coolest and Top 10 Lists" competition. 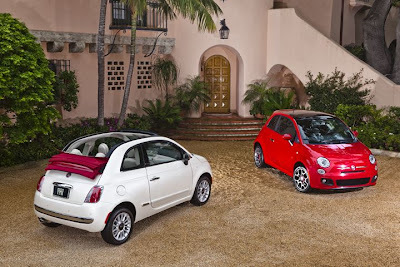 In their "Top 10 Coolest Car List", Kelly was looking for "...the select few, the cars that not only do everything you want and need a car to do, but also do it in an engaging and enjoyable manner, like the friend you have that’s “just fun to be around.” The Fiat 500 won the category. 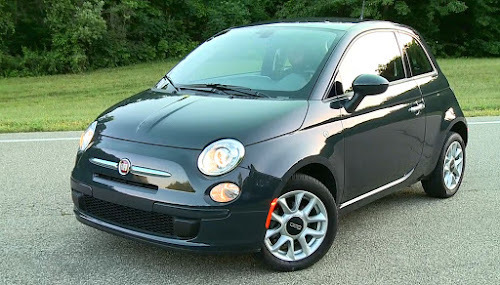 "Combining European style and heritage with a starting price of $16,000, the 2012 Fiat 500 bridges the gap between the sportier, pricier Mini Cooper and the more pedestrian Toyota Yaris. 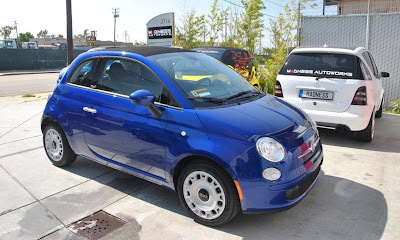 If you like the big personality of the Mini Cooper but would gladly sacrifice some performance for a more comfortable highway ride and a lower price, you'll find the Fiat 500 worth a look." 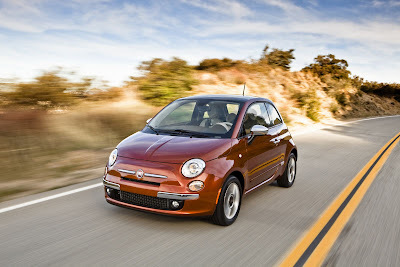 "More affordable than a Mini Cooper and more gregarious than a Toyota Yaris, the 2012 Fiat 500 offers a new mix of economy and style." 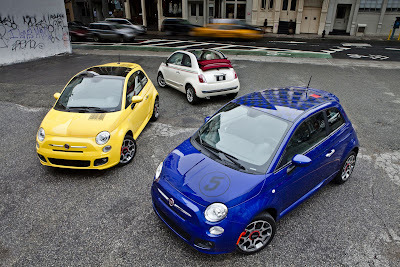 The Fiat 500 has taken the top honors in Germany's J.D. Power and Associates survey of customer satisfaction. The 500 earned a score of 81.8% in the "A Segment" category placing it first in a class that has been traditionally led by German and Japanese models. 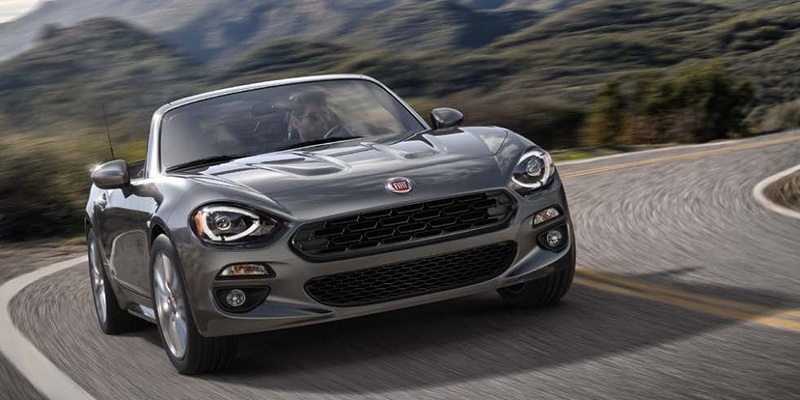 This was the result of Fiat's commitment to achieve the highest possible standards in production, customer service and dealership performance. 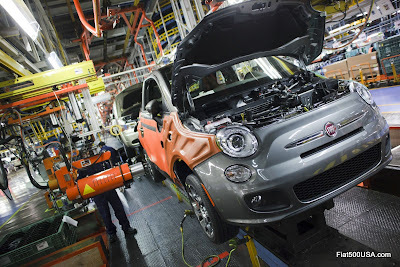 The US ranking of the Fiat 500 has yet to be done, but Fiat's determination to be the best has already begun to pay off with its partners at Chrysler (who manufactures the Fiat 500 in Mexico for the US market). J.D. Power and Associates released its US ratings earlier today and the Chrysler Town & Country ranked highest in initial quality in the minivan segment and the Dodge Challenger ranked highest in the mid-size sporty car segment. Three other Chrysler Group vehicles were highlighted for ranking among the top three vehicles of their competitive class: Dodge Durango in the mid-size crossover/SUV category, Dodge Grand Caravan in the minivan category and Ram Dakota in the mid-size pickup segment. 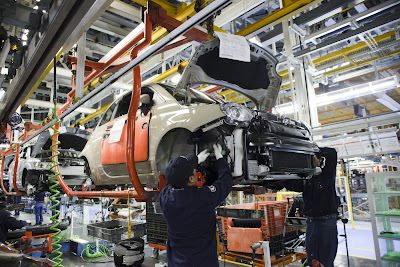 Chrysler Group continues to invest in quality improvements and has created a stronger, centralized Quality organization. In two years, the quality staff has increased from 200 people to 1,500 staffers working on a coordinated strategy. Two years after they were introduced, Customer Satisfaction Teams (CSTs) are eliminating one of the classic issues associated with many Quality departments: problem-solving ownership. Made up of cross-functional teams that measure their success only by their ability to improve defined quality scores, the CST structure is meant to eliminate the potential for a "not my fault" attitude. "It's about putting people in the right place to foster a problem-solving mentality," Betts said. "Quality must be a shared ownership and CSTs create that environment." Each CST is comprised of 6 - 15 problem solvers with a variety of expertise. Chrysler has 14 CSTs, one for each vehicle system (engine, interior, wiring, etc) encompassing the range of Chrysler vehicles. These teams are empowered to improve customer satisfaction for their system or area. They measure their success only by how well they do that, without regard to the origin of the customer dissatisfaction. In the automobile industry, "quality" has been a broadly used term referring to many different aspects of customer satisfaction. At Chrysler, Quality has now been defined into six categories that may affect customer satisfaction: Ordinary, Dissatisfaction, Regulatory, Perceived, Performance and Service, both before and after the sale. 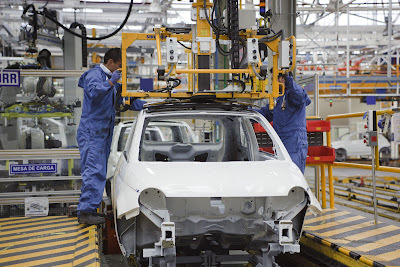 To improve performance quality—how a vehicle stacks up against its competition—engineers now start a project by measuring approximately 320 physical characteristics of the best-in-class vehicles. Criteria such as acceleration, braking, handling, seat comfort, fuel economy and storage space are benchmarked. This establishes high standards so vehicles are designed and built to compete with the best. 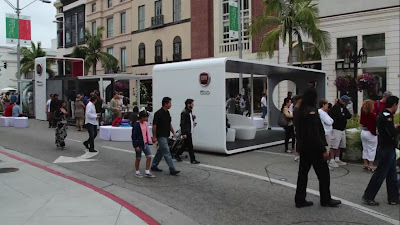 Chrysler Group also created the Perceived Quality (PQ) Team in recognition that many consumers form opinions the first time they see a vehicle, whether it’s at an auto show or in a neighbor’s driveway. The PQ team analyzes vehicles’ fit-and-finish, materials, ergonomics, and even the sound quality of moveable parts such as doors, seats and storage compartments. Much of the PQ evaluation is now done in the digital design phase, so product improvements can be made before any tooling invesments. 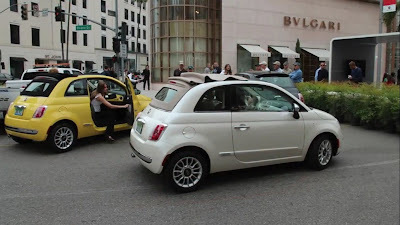 Last Sunday, Fiat was the honored marque at the annual Father's Day 2011 Rodeo Drive Concours d'Elegance car show. 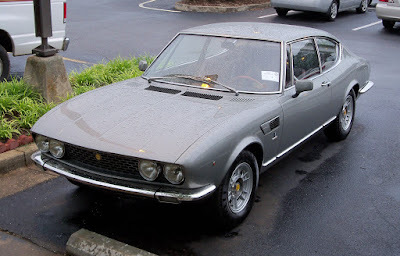 What a delightful way to spend Father's Day being surrounded by Fiats, Ferraris other Italian cars. Fiat was there with the Fiat Mobile Experience, an elegantly styled mini café and Fiat merchandising store combined. 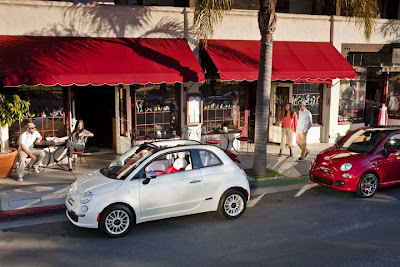 Italian refreshments were served and you could sample the Fiat 500 on test drives through Beverly Hills. 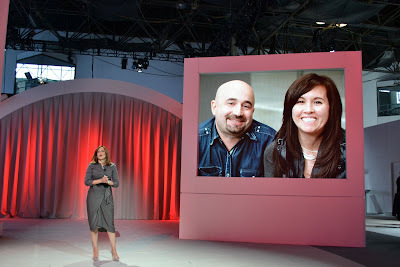 Don't miss the next event the Fiat Mobile Experience will be at. 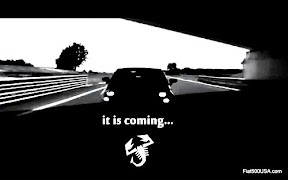 I'll post it here and don't forget to visit Fiat USA's Facebook Page for updates. 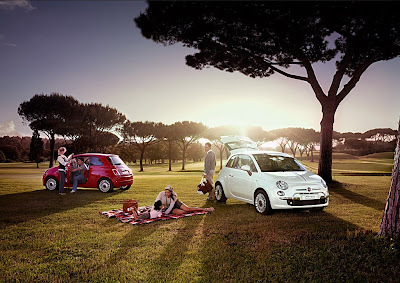 Fun, lively, entertaining and engaging, the Fiat 500 embodies all of life's possibilities. It is what ever you want it to be: a sporty runabout, a weekend warrior or a practical companion. Folks that are interested in fuel efficiency will be happy to hear the Fiat 500 has the highest fuel economy ratings in its class. 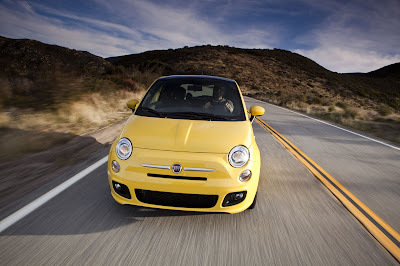 The EPA rates the Fiat 500 as getting 30 MPG in the city and 38 MPG on the highway with a combined average of 33 MPG. These figures, however, don't tell the whole story. 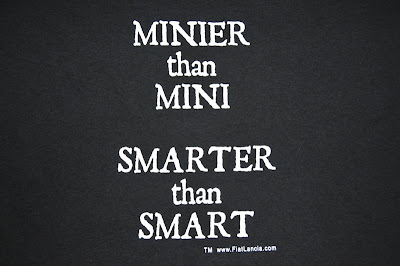 If desired, the efficient 1.4L MultiAir engine in the 500 can get even better fuel economy. Driven reasonably and using eco:Drive, Fiat's innovative software that monitors your driving and gives feedback on improving fuel efficiency, you may easily beat those figures. In the video, our friend Shaun Folkerts documents his Prima Edizione's average fuel economy over 3,500 miles of driving. Shaun has averaged 43.8 MPG over this period and has exceeded the EPA average by nearly 10 MPG. It is not a fluke. Personally, I regularly average over 40 MPG on my rural back road commute. You can read more real world fuel economy results on the Fiat 500 USA Forum: Fiat 500 Fuel Economy Forum. What does a new Fiat 500 owner do in July? They go to the Fiat FreakOut! 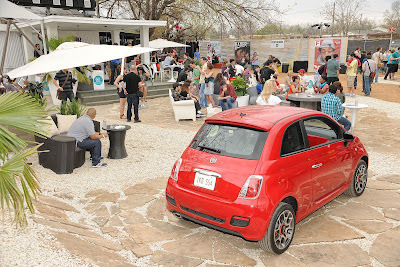 The Fiat Freakout is the premier Fiat event of the year. 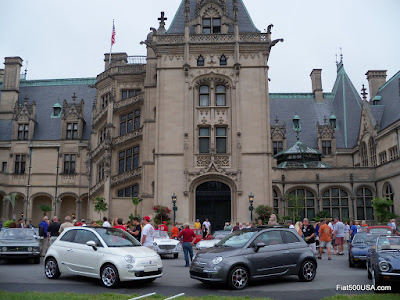 Started in 1983, the FreakOut is the Fiat Lancia Unlimited car clubs national convention and is celebrating its 28th anniversary. 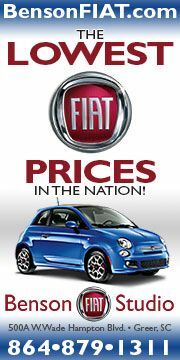 The 2011 Fiat FreakOut will be held July 21st through the 24th at the Sheraton Music City Hotel in Nashville, Tennessee. 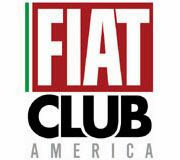 This year's event will be memorable because it is the first year that Fiat has a new car in the US market for more than 28 years. 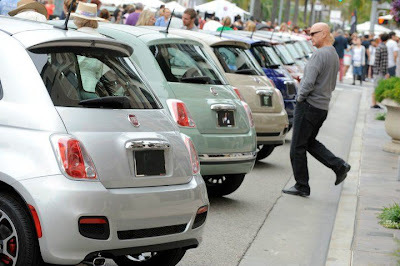 This will be the largest gathering of Fiat 500s in the US and a great time for all to enjoy each others cars and camaraderie. New Fiat 500 owners can view outstanding examples of the older cars and see why they are cherished by enthusiasts from around the world. 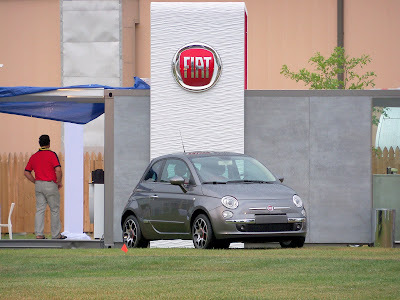 Folks interested in learning what the Fiat 500 is all about will have the opportunity, because Fiat North America is once again the title sponsor this year and is expected to have a significant presence. 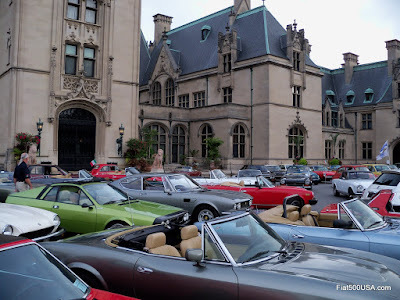 The four-day event includes an impressive concours car show, scenic drives through the beautiful Tennessee countryside, tours of Jack Daniels Distillery and Lane Auto Museum, parties, cookouts, Fiat related movies, a swap meet and vendor area, plus lots of time to meet people, look at cars and have a truly enjoyable time. If you own a Fiat 500 or want to see what the excitement is about, you simply can not miss this event! 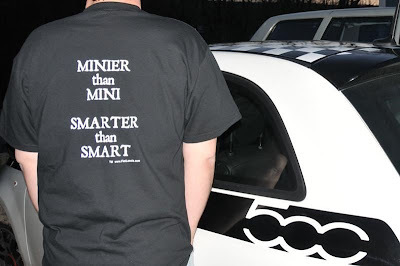 If you own a Fiat 500 and look to take it to the next level, you have no doubt heard of 500 Madness. From mild to wild, 500 Madness has you covered. 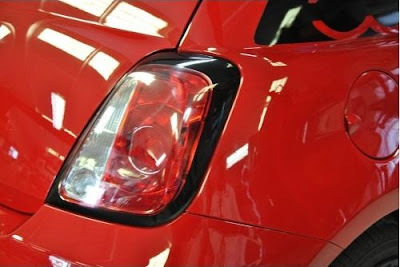 Owned and operated by Boris and Rachel Tilim, 500 Madness has worked around the clock to bring a wide range of products to Fiat 500 owners. Boris and Rachel are well known in the custom and tuner car world from their other company, Smart Madness, the recognized leader in Smart car accessories. 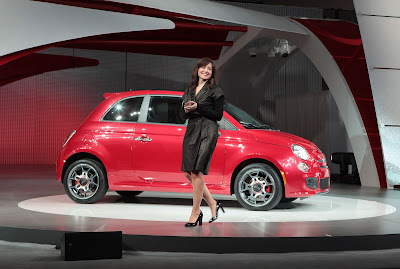 The Tilims were featured in the video "Fiat Prima Edizione Numbers" and were mentioned by Laura Soave at the New York Auto Show. 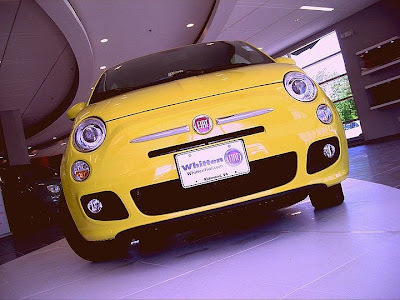 They own Prima Edizione # 36 and recently took delivery of the first Fiat 500c in California. Keep an eye out for this car, because it will get the full wide-body treatment! 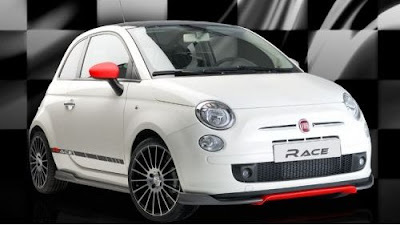 500 Madness offers the Magneti Marelli Ellaborazioni 1919 line of aftermarket accessories and has in stock the exclusive Magneti Marelli wheels that fit the Fiat 500. 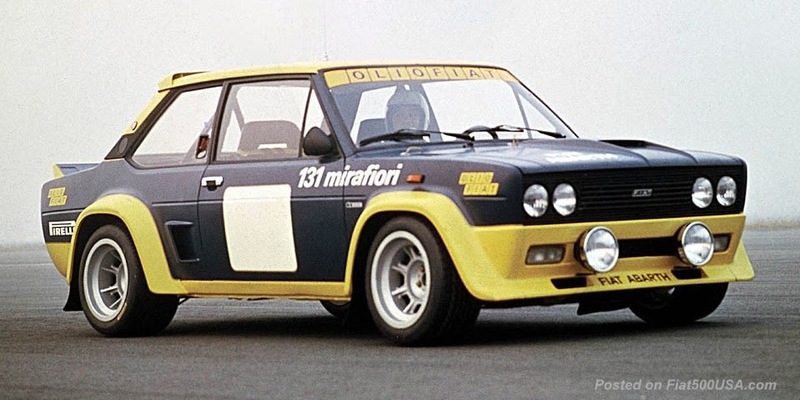 Magneti Marelli is well known to World Rally and Formula 1 enthusiasts and is the original supplier of many of the parts used on the 695 Abarth "Tributo Ferrari". 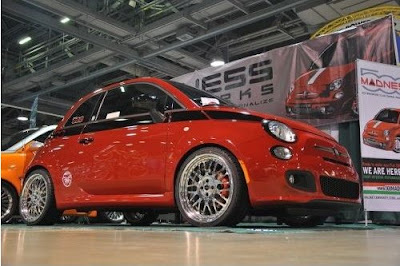 500 Madness was the first to distribute Borrani Wheels for the Fiat 500 in the US. 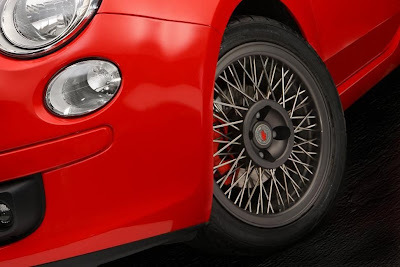 Borrani is the premier wire wheel maker in the world and offer a sophisticated and elegent wheel line up for the Fiat 500. They also handle the German company MS Design, producers of wheels, bodykits and accessories. 500 Madness is the North American Distributor of Black. 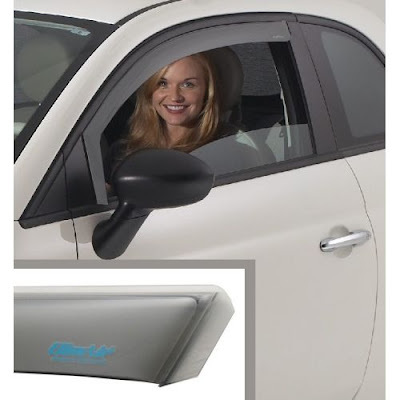 The Italian company known for high quality, trendy, luxury accessories that are focused on giving prestige and charm to the FIAT 500. 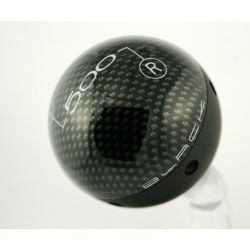 Black shift knobs, boots, pedals, headrests and accessories are manufactured in Italy and are a work of art! 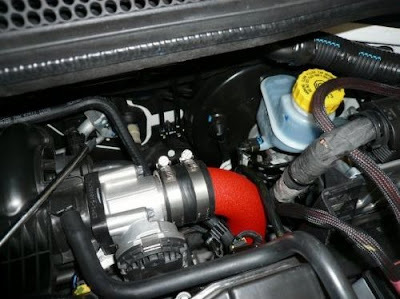 Cold air intakes including ones made by Competizione Sport Tuning. Brake upgrades, floor mats, window deflectors, tailights, springs, carbon fiber accessories and maintenance items are just some of what 500 Madness has. Follow the links below, you won't be disappointed! To see more, visit the 500 Madness website here, and check out the 500 Madness forum here, and their Facebook page here.